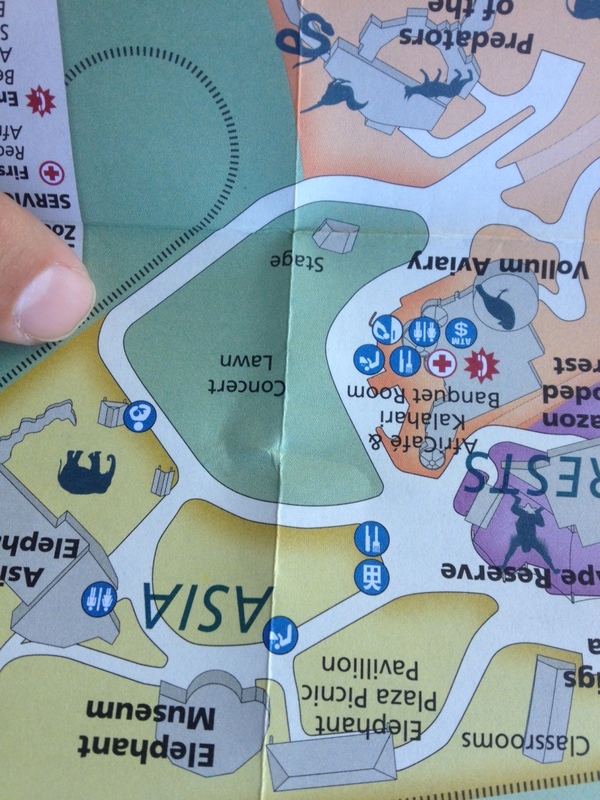 Pink Martini at the Oregon zoo! 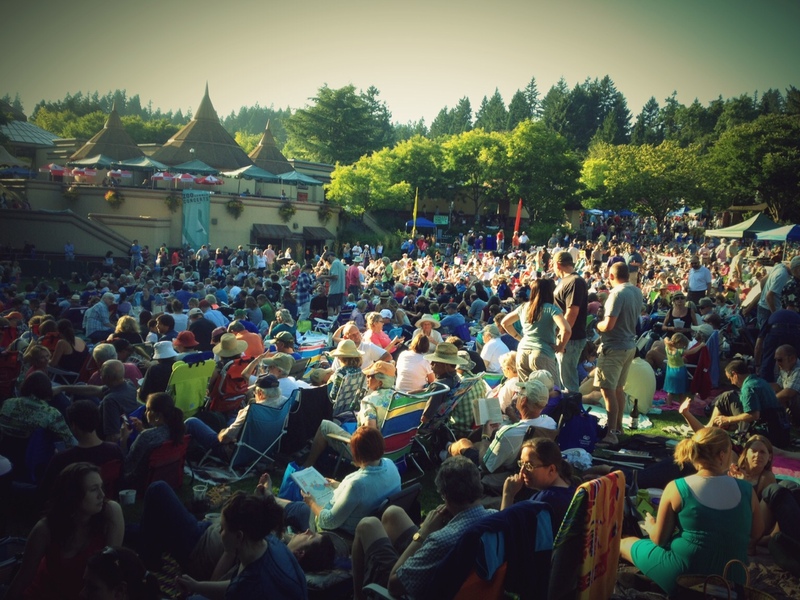 In an earlier post I mentioned that this is the first year I’ve gone to the Oregon zoo and I’ve been hearing about how popular the concerts are at the Oregon zoo. 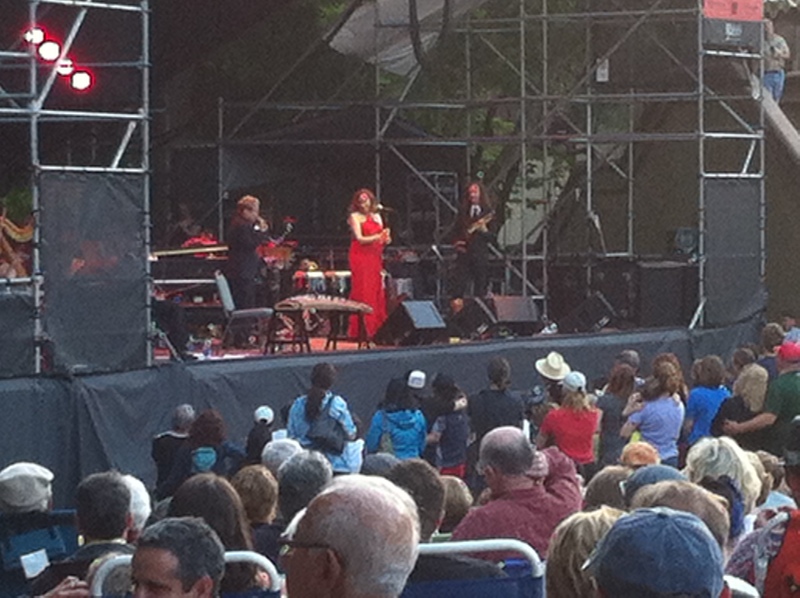 Pink Martini happened to be playing this summer. Of course, you HAVE to see Pink Martini when they are in town! Thomas (the pianist and originator of the band) is a Portland native and they are now internationally known and loved. Our friends introduced us to them about 8 years ago and we have been hooked since. 🙂 They perform quite an eclectic range of songs. China sings in many languages including French, Portuguese, Spanish, English, Turkish, Greek, Arabic, etc. Thomas is quite an amazing pianist who also conducts from the piano and the rest of their band are amazing as well. Also, click the “audio” link on their homepage and listen to #2 “Hang on little tomato,” #12 “Sympathique,” and #13 “Lilly” which are a few of my favorites along with “Brazil” which is not available on this list. You can access it by clicking on “discography” on the homepage and clicking on the album “Sympathique” and scrolling down to #10. It was quite a packed venue with no rhyme or reason to how you got a seat even 2 hours before the concert started so we stuck to the concrete wall on the edge so we could easily spot our friends when they arrived.